Last year I was commissioned to design a planting scheme for a front garden in Ashtead and this morning went back to see how it was looking one year on. 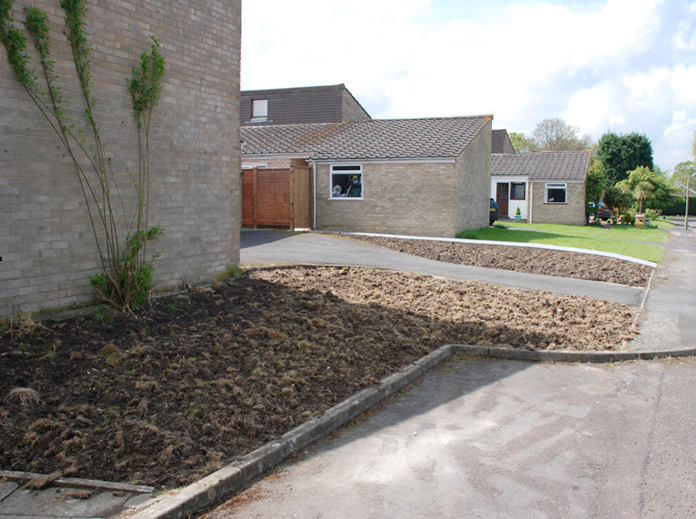 When I first visited my clients the front garden looked like this….I’m sure you’ll agree that it was rather uninspiring! The brief was simple really “please bring the front of our house to life!” and although I wasn’t commissioned to redesign the layout, I think you’ll agree that the difference after just one year is really quite amazing…. Front gardens are often overlooked because people don’t generally spend a lot of time in them, you wouldn’t sit out and eat a meal for example, but you walk through them every day, winter or summer, rain or shine, and a well designed space can transform the way you (and others feel) about your house when you approach it. 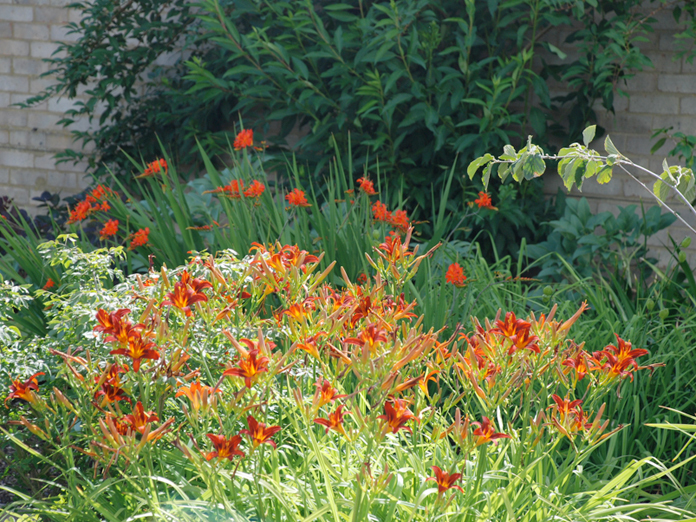 It should be beautiful, functional and fairly easy to maintain (Lawns require a lot of maintenance!). Thinking about things such as housing the wheelie bins (some people have 3 or 4! ), loading/unloading the car, parking, lighting, security, utilities access, planning restrictions, drainage and privacy are essential if the space is going to work on a day-to-day basis. Considering how the garden will be viewed from inside the house is also important. I have recently finished a design for a client whose living room looks out onto the front garden and the brief was very clear from the outset, “we want to see a garden, not look out at a car park”. 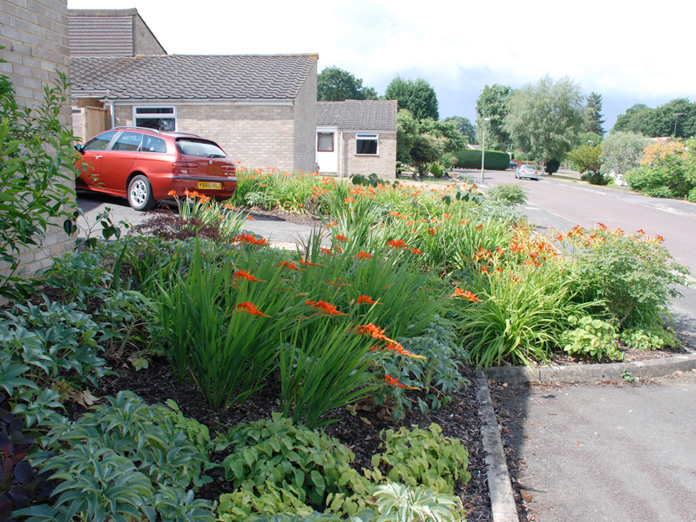 They’re lucky enough to have sufficient space to tuck the cars out of sight, but with clever planting and a bit of imagination it is usually possible to disguise ugly corners, cars, bins and drains without too much trouble!